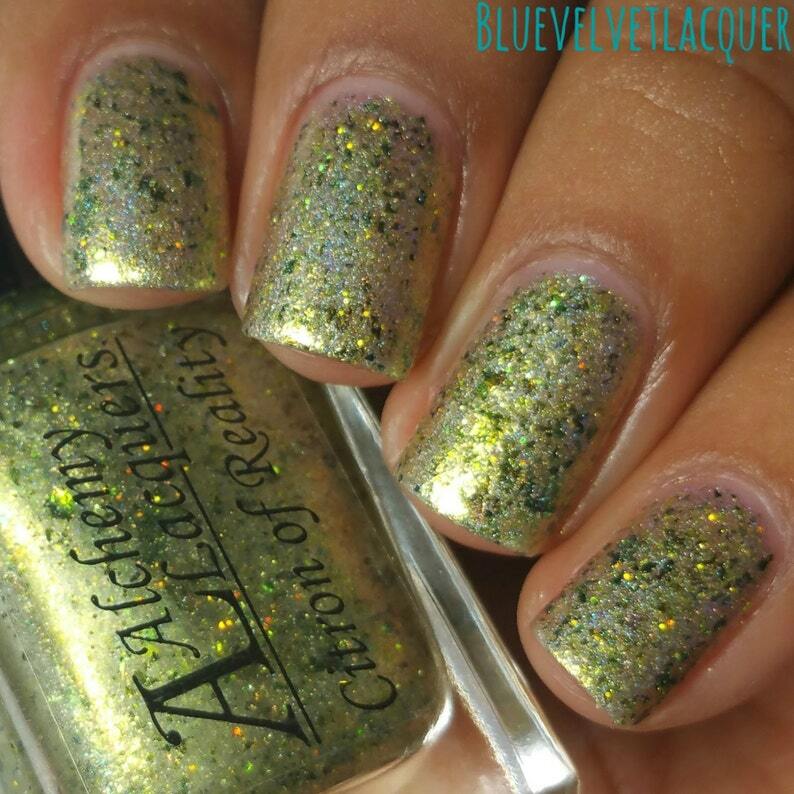 Citron of Reality is a jelly nail lacquer with yellow flakies, yellow microglitter, yellow green/green/blue multichrome flakies and linear holographic finish. This listing is for one bottle (12.0 ml / .41 fl oz) of Citron of Reality. Swatches, courtesy of @alchemylacquers @boomshakalacquer and @bluevelvetlacquers displays 2-3 coats of Citron of Reality.